Ginkgo, Ginko biloba, is one of the oldest living tree species; some can live almost 1,000 years. The Gingko tree has also been called Fossil Tree, Kew Tree, and Maiden Hair Tree. Ginko’s medicinal properties come from Ginko biloba Extract, which is procured from the tree’s dried leaves. Ginkgo contains Flavonoids and Terpenoids. The Flavonoids have antioxidant activity, which protects cells and DNA against damaging oxygen free radicals. Terpenoids help improve blood flow, by dilating blood vessels and preventing clotting. Ginkgo is available as an extract, capsule, tablet, and dried leaves which can be used to prepare Tea (UMMC). It has long been thought that Ginkgo can be used to enhance memory, and may be useful in restoring brain function in individuals with Alzheimer’s Disease. However, recent studies have shown it might not have much impact. A study conducted, which included 513 individuals with Alzheimer’s Disease noted no significant difference between individuals who received Ginkgo biloba Extract and a placebo (Schneider , DeKosky, Farlow, and et al 541-551). Also, the University of Maryland Medical Center cites a well designed study in the United Kingdom, in which individuals with Alzheimer’s Disease who were given Ginkgo over 6 months had the same mental functioning as the group which received the placebo (UMMC). Ginko biloba, may also be beneficial to individuals with Intermittent Claudication, or pain their legs as the result of poor blood flow. Ginkgo is able to improve blood flow in the lower extremities, and reduce the pain. Studies have shown that individuals, who received Ginkgo, could walk longer distances without feeling pain than individuals who received the placebo (Pittler, and Ernst 276-81). Ginkgo, may also help preserve vision in individuals suffering from Glaucoma and Macular Degeneration. Individuals with Glaucoma who received 120 milligrams of Ginkgo every day over 2 months experienced improvements in their vision. It also thought that the components of in Ginkgo might protect the retina and prevent or reduce the symptoms of Macular Degeneration (UMMC). 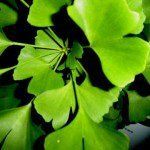 Side Effects of Ginkgo include headache, dizziness, upset stomach, flatulence, diarrhea, palpitations, and contact dermatitis (Sloan-Kettering). Ginkgo should not be taken by women who are pregnant or nursing, or individuals with diabetes or epilepsy. Ginkgo should not be taken with drugs which are metabolized by the liver, seizure medications, antidepressants, hypertension medication, anticoagulants, ibuprofen, medications which lower blood sugar, immunosuppressants, or diuretics (UMMC). Ehrlich, Steven, NMD. “Ginkgo biloba.” University of Maryland Medical Center. N.p., 13 Dec 2010. Web. 5 Jul 2012. “Ginkgo.” Memorial Sloan-Kettering Cancer Center. N.p., 15 Jun 2011. Web. 5 Jul 2012. Pittler, MH, and E Ernst. “Ginkgo biloba extract for the treatment of intermittent claudication: a meta-analysis of randomized trials..” American Journal of Medicine. 108.4 (2000): 276-81. Web. 5 Jul. 2012. Schneider , LS, ST DeKosky, MR Farlow, et al. “A randomized, double-blind, placebo-controlled trial of two doses of Ginkgo biloba extract in dementia of the Alzheimer’s type..” Current Alzheimer Research. 2.5 (2005): 541-551. Web. 5 Jul. 2012.